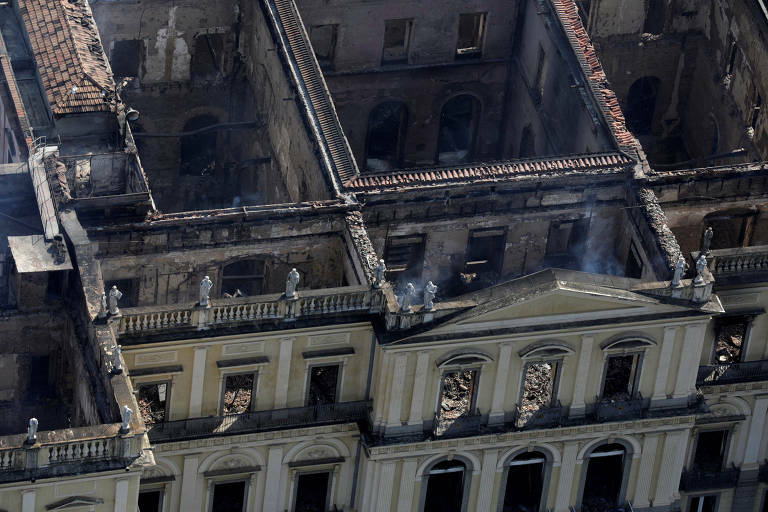 Federal funding to the National Museum, destroyed by a fire on Sunday night, was halved in the last five years: from R$ 1.3 million (US$ 312,000) to R$ 643,000 (US$ 154,000) last year. This 50% decrease was larger than the total sent to a group of 25 museums under federal management, which also lost 10% of their funding. The cut was also greater than other federal budget cuts. The museum, managed by UFRJ (Federal University of Rio de Janeiro), was undergoing difficulties. There were visible signs of disrepair, like walls with peeling paint and exposed the electrical wiring. From January to August 2018, the federal government spent R$ 98,000 (US$ 23,500) in the museum. During the same period in 2013, the amount spent was R$ 666,000 (US$ 160,000) - a reduction of 85%. This situation is a result of Brazil's recession, starting in 2014. The economic crisis threw off Brazilian fiscal balance. Tax revenue fell and government expenses continued to rise. To keep public spending under control, the federal government cut funding already assigned not only to the Culture Ministry but also Sports and Science and Technology, among other sectors. A recent study estimated that renovating and restoring the National Museum would cost R$ 120 million (US$ 28 million). The amount would include renovating the stairways and other parts of the building with issues like water damage in walls and roof.